This property is 1 minute walk from the beach. Guests at this luxury resort can choose between garden suites with private pool, beachfront suites with a private hot tub, or overwater bungalows with direct access to the turquoise waters below. 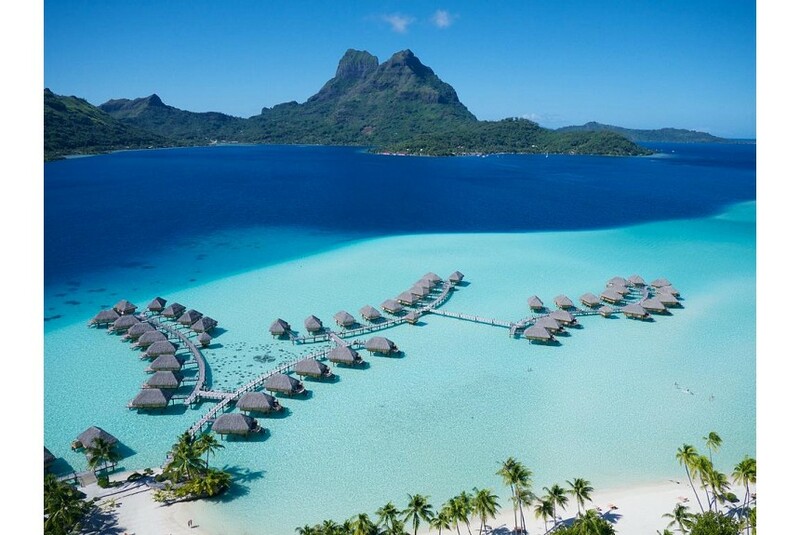 Bora Bora Pearl Beach Resort & Spa offers luxury accommodation with stunning views of Mount Otemanu. Each includes a 20-inch LCD satellite TV, air conditioning and free Wi-Fi. There are 3 restaurants and 2 bars, including Tevairoa Restaurant which overlooks the turquoise waters of the Bora Bora Lagoon and offers al fresco dining on the terrace. Located on the beach at Motu Tevairoa, Pearl Beach Resort & Spa Bora Bora features 2 boutiques, a very large outdoor swimming pool, diving centre and flood-lit tennis court. Indulgent beauty treatments are on offer at Manea Spa. The resort is 10 minutes’ by private boat from Motu Mute Airport. This property also has one of the best-rated locations in Bora Bora!